Lock in a great price for In Astra – rated 8.8 by recent guests! 1. Friendly and hospitable staff. 2. Well-equipped kitchen and good breakfast. 3. 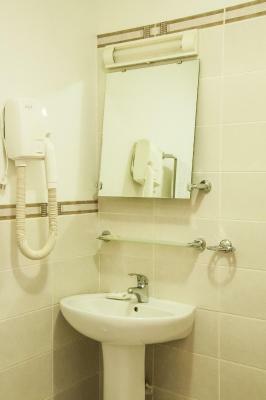 Neat and clean rooms with all necessary facilities. 4. Perfect location with lots of places to eat out and shop, close to the city center. 5. Free parking. 6. Competitive price, absolutely worth the money. 7. Accurate description on booking.com. Clean, big rooms and a great location. Very helpful staff and a decent breakfast. Clean, big rooms , nice breakfast and a great location. Also waited for us to check in after midnight. Liked it so much that I booked again. Great location near old town, nice hostesses, very good breakfast. The room was clean and spacious. The private parking access was also provided. The place is nice and the hostess is just wonderful. The room is simple and clean, the breakfast was basic (ham, cheese, bread, yogurt, milk, cereal, coffee, etc.) but it was enough for us. 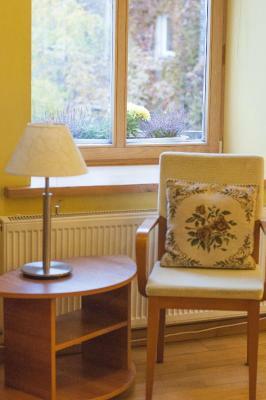 The B&B is at a comfortable walking distance from the city center and the railway station. The host was very nice; we got there around 4 a.m and she greeted us with a smile. The location is amazing and the rooms quite spacious! We only met the lady at the property once because it was really off-season (think Baltic winter and really low temperatures!) but she seemed very nice and gave plenty of maps and leaflets on things to do in the city, which we appreciated. I think only one other room was occupied in the whole property. There was a kitchen where you could help yourself to tea and coffee, which was nice after being out and about in the freezing cold! 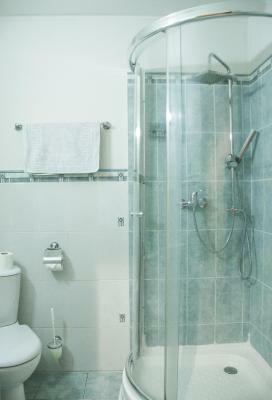 The rooms were also very warm and plenty of towels, soaps and shower gels were provided. Breakfast was nice and staff were polite, rooms were clean. Overall good value for money. One of our top picks in Vilnius.This is a cozy B&B located in the Old Town of Vilnius offering spacious, light rooms and including breakfast. A free cup of tea or coffee is offered to each guest and free WiFi is featured. 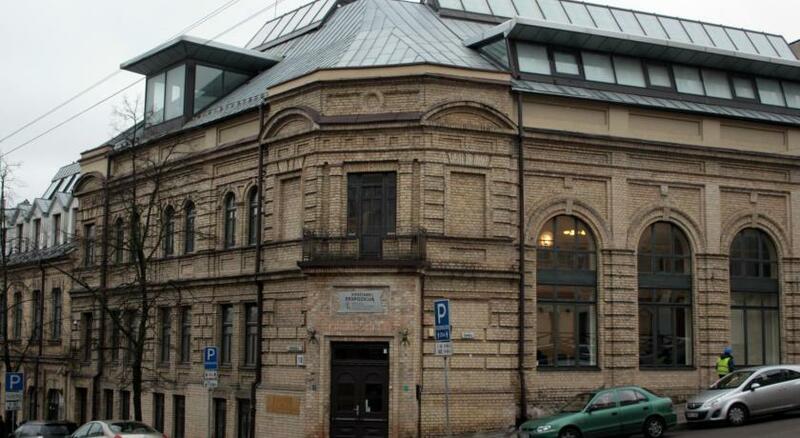 The hotel is located close to the convention center and is near to a number of landmarks in the center of Vilnius, including the university and the Hale Market. 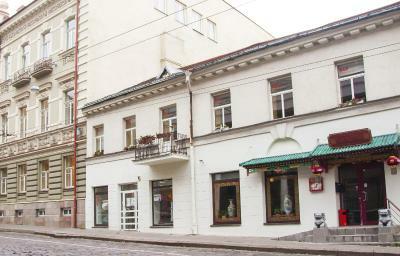 뀐 Located in the real heart of Vilnius, this property has an excellent location score of 9.2! When would you like to stay at In Astra? Room with a shower and cable TV. Everybody is welcome to stay in lovely B&B "In Astra" and we offer for all our guests coffee and tea during the stay for free. For those who loves home atmosphere B&B "In Astra" is a good choice. Area Info – This neighborhood is a great choice for travelers interested in churches, history and architecture – Check location Excellent location – show map Guests loved walking around the neighborhood! House Rules In Astra takes special requests – add in the next step! The hotel does not accept credit cards. Guests are kindly requested to inform the hotel in advance about their estimated time of arrival. This can be noted in the Comments Box during booking or by contacting the hotel using the contact details found on the booking confirmation. Please note that guests arriving with car need to go to reception and take the remote control for gates or call directly to reception. Please note that private parking for guests is located at Pylimo Street 9. Please inform In Astra of your expected arrival time in advance. You can use the Special Requests box when booking, or contact the property directly using the contact details in your confirmation. There's nothing I didn't like! I had been expecting breakfast to be included but when we arrived it turned out that wasn't the case, and at €5 it was rather expensive for Vilnius (we ended up buying pastries from a bakery - €1 for a pasty €0,50 for a croissant!). As someone who grew up with pet cats I can say that the stairwell up to the property did unfortunately smell of cat urine, which doesn't make the best first impression, but once you're in the property itself it is fine. Good location but not in the best area. We stayed for 3 nights and although the rooms were clean the beds weren’t comfortable. The room was basic and maybe needed updating. I was in very cold season and room was cold too. Very good location near to city center. Also breakfast was included. 1. 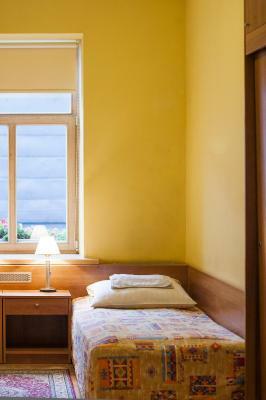 Half of the rooms face a cobblestone street with weak-to-average traffic, which can be noisy, especially for light-sleepers. 2. The parking is small and usually quite busy. 3. The W-Fi signal strength depends greatly on how far your room is from the router. 1 large double bed was equal to two single beds. No black-out curtains. Dark bathroom. No vegetables for breakfast. No payment by card possible, only cash. Good connection to the airport (bus stop around the corner). You can walk to the old town on foot. Clean, spacious room. Very friendly and helpful staff. Good wi-fi. Fully equipped kitchen (water kettle, tea, coffee, etc.). Breakfast was OK.
A little hard to identify the location and as for most of Vilnius graffiti is an ongoing issue. From when we arrived we felt appreciated, greeted and shown to our room we settled in straight away. Facilities are of a high standard and with the rooms being on one level it made orientation of the accommodation manageable. Staff, attentive and at hand to help. Tea and Coffee making facilities in the kitchen was a real bonus, as for the breakfast plentiful and a real bonus for a busy day of walking etc ahead of us. Overall the staff, location and facilities make the holiday. everything was great. For that kind of money in city center you can't find any better place. Missing conditioning. That was an issue on a hot summer day. But overall it's really a bargain. The room was a bit stuffy during the summer because there was no fan or air-conditioning. It should be quite warm and cozy in the winter. The room was big, the water temperature was constant for the shower. There was also a small fridge in the room! The breakfast was included in the price by default. It was a nice continental breakfast: egg, ham, cheese, bread, juice, coffee, yogurt. It was a great location and perfect for exploring Vilnius! Breakfast and staff were also great. It was nice to not have to worry about feeding the kids first thing as we set about our day. It was very convenient to be able to park on the premises, although you do need to get the remote opener for the barrier first, which means you'll have to initially park somewhere else and that can be a challenge. Our room faced the street, but it wasn't noisy because traffic dies down there during the night. The breakfast was fine, but without any warm items. The location was a bit outside of the center, but the free parking made up for that. Very clean, fresh breakfas,lovely stuff. Fantastic for such prive. Good location too.